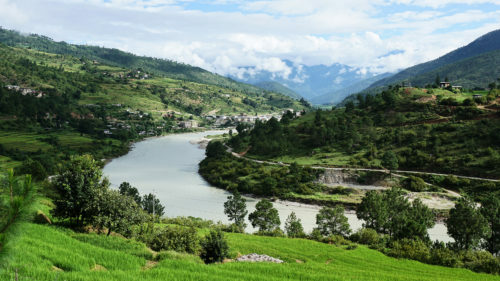 Situated in the majestic Punakha Valley, this beautifully crafted hotel creates a peaceful and relaxing atmosphere for guests, whilst showcasing the best of Bhutanese tradition. Using locally sourced materials and intricate work from local stonemasons, the hotel combines elegant, contemporary style with traditional surroundings in order to create a unique guest experience, set off by the excellent service. Well-appointed rooms exhibit authentic Bhutanese culture, with a touch of modernity. Take in extraordinary views of imposing mountains, expansive paddy fields and the Puna Tshang Chhu River from your own balcony or patio or relax in the privacy of your room's comfortable sitting area. 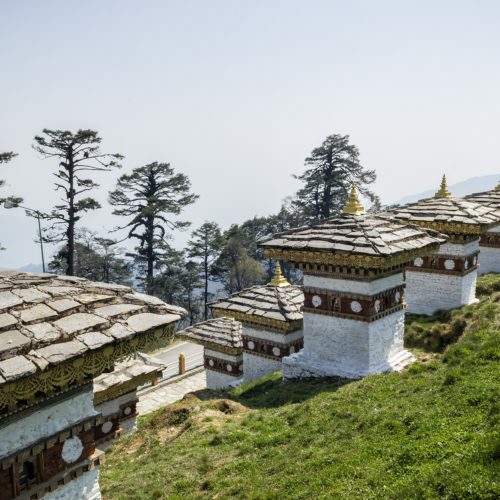 Tucked away from the bustle of the town, Kunzang Zhing Resort is ideally located for those looking to relax in peace and take in the stunning scenery, whilst a dedicated meditation room and beautiful walking paths help guests to escape their busy home lives. Evenings can be spent at the KuiZine Restaurant & Bar, where guests can enjoy a range of continental, Chinese and Indian delicacies or sample homemade Bhutanese recipes for a taste of the warmth of Bhutanese hospitality. Relax inside or take in the views from the restaurant's patio and outdoor bar.